Lacke in Farbe und bunt is a weekly nail polish challenge by Lenas Sofa and Das Jahreszeitenhaus. Each week they have a new color scheme, and this week's color is taupe. My taupe polish is Lucky 13 Lacquer Accio Laquer, a grey leaning taupe with gold and copper flakies in it. I used three coats, but it still wasn't 100% opaque. 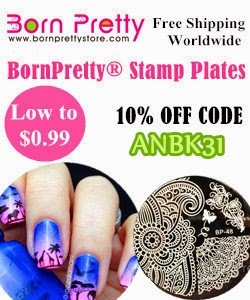 Then I added a almost invisible stamping (it was planned subtle, but not stealth like subtle...) using Catrice Reggaeton (Cucuba Limited Edition) and MJ stamping plate IX. 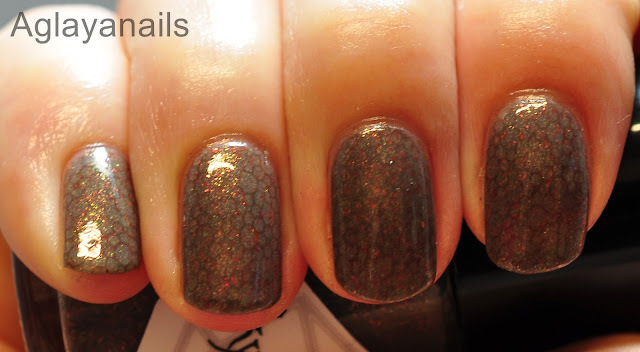 One coat of KBShimmer Clearly On Top finished this mani. 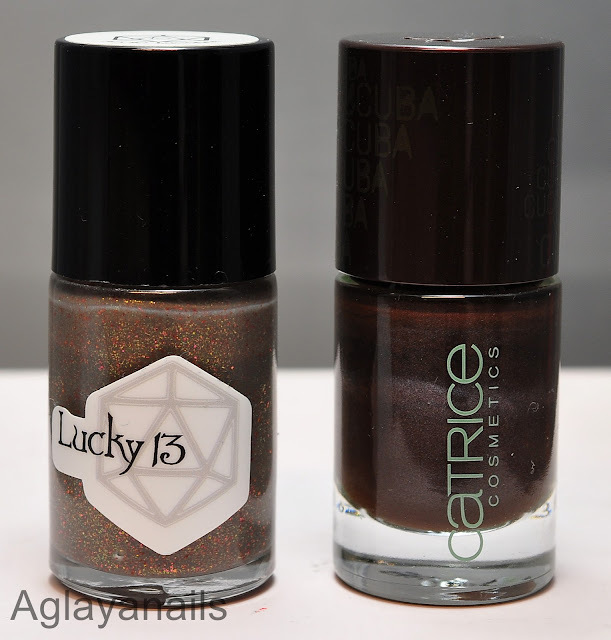 Lucky 13 Lacquer are available at their own shop and at Mei Mei's Signatures.